Over the internet years, people have put a lot of effort into providing reality checks about food consumption. With a little work, I have compiled this existing information and the end result is a whole truckload of pictures, links, and even a POP QUIZ! 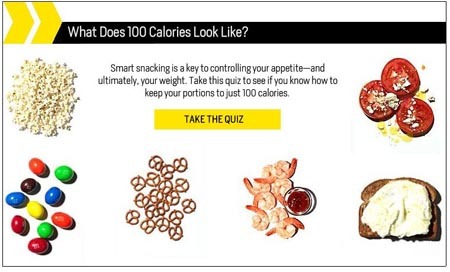 Men’s Health offers a look, along with a quiz, at what 100 calories look like. Will you get the Hershey Kisses question right? WiseGeek hits you over the head with how little you actually get for 200 calories. From fats, veggies, and doughnut goodness—you will learn what you can consume. The Gummi Bears are the saddest of them all. See a lonely Snickers bar on a big plate. Healthassist.net delivers reality in alphabetical order and with pricing. I can’t vouch for the accuracy of the prices but the number of calories listed are spot on. I don’t know about you but I am loving tomatoes right about now. Get the ABC’s of 300 calories. cool article. 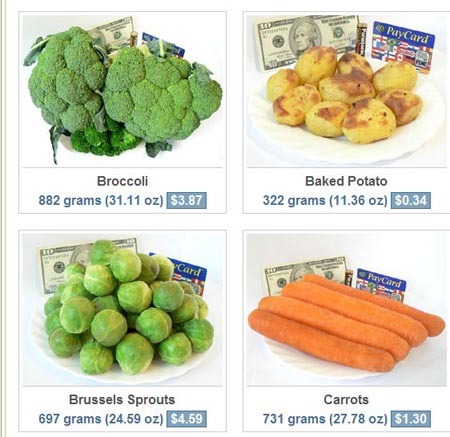 i was wondering the other day if there was an iphone training app for learning calorie counts based on food images. that would be a great idea but i have yet not found anything. someone like ‘dailyburn’ should do that considering their suite of food apps including the cool ‘mealsnap. For a moment, I thought I was actually going to see the calories in their true shapes and forms LOL Very funny post. How about the Baconizer Burger? I bet that is actually what 2000 calories look like! Very neat article! I love food and tend to enjoy those packed with calories the most, but I find that with the extensive library of healthy recipes, etc, available on the net today, everyone can afford to eat better, whether they admit it or not! Thanks again, loved it! Cool. Entertaining article! Also liked h comment idea about the app for viewing foods, would be useful. 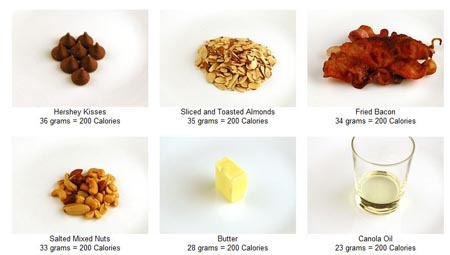 Came here from another cool site calorie-book.com which has nce pics too. Anyone got others – i track them for my pintrest?